Sorry, I don't have much time to write this week. 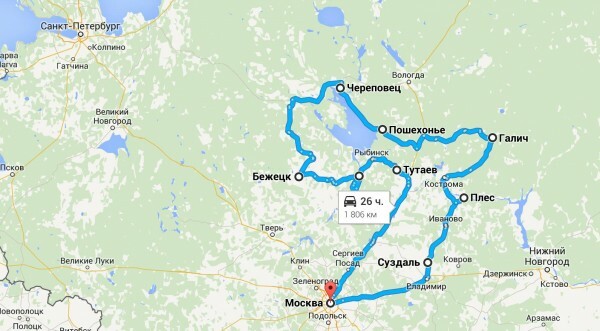 :( Here's the proposed route for the Russian road trip. It was purposely drawn to avoid big cities. What do you think? Know any interesting, unusual places in these cities? Or unique people, living or working in an offbeat manner? I love to meet and write about such humans, in my country and others. After this route, I'll return to Moscow and then venture somewhere in Russia by myself for a few days. The two options are Kazan or spending a very short time in Siberia (2 - 3 days), including a ride on the Circum-Baikal Railway. Where do you want me to go - Kazan or Siberia? For foreigners, Siberia is very intriguing and mysterious, and it has always been a dream of mine to see Lake Baikal in winter. But it's soooo far away! Kazan is definitely much better after small towns you're planning to visit. Siberia won't go anywhere and won't change fast, so you can visit it any time later. Baikal is gorgeous, but it's across the whole country. it's not fair to compare Suzdal or Ples to Kazan. They are all worth visiting. I'd rather do to Suzdal if I had to choose. Cool plans. Wery nice places. And I think Siberia is better than Kazan. Krasnoyarsk, Irkutsk, etc. I will have such a short time there, it's not possible to explore many cities. I need to be in Russia for over a month, but unfortunately I have work obligations and there is not enough time. Two weeks is the maximum I can stay. What cookies ? Oreo ! Oh, Oreos! Yes, delicious. :)) But what kind? 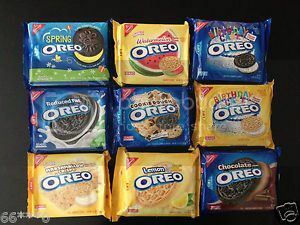 We have so many varieties now in America - original, double stuffed, peanut butter, banana split, neapolitan, cookie dough, mint, lemon...the list is really endless. The end is hilarious! We'll do absolutely everything for cookies from the State Dpt. Sometimes it's necessary to throw humor into a post. :) However, most of the time readers don't understand the joke or take personal offense at it. There are so many amazing places on this planet and you're going to some second rate industrial cities in Russia. Where do you recommend I go in Russia, or just skip this country all together? :)) I admit it's a very unusual travel destination for an American, esp. over and over again each winter like I do. hmmm just find articles/sites about all these towns on wiki and you will know what landmarks are located there. I don't care about standard tourist attractions. I want to find places and people off the beaten path, something unusual to write about in my blog. >>Where do you want me to go - Kazan or Siberia? Winter- to Kazan, summer - to Siberia. It's depends wich seasons you planning you journey. How many days are you going to spend for this route? 6 - 7 days. At this point, Sasha and I are used to covering very long distances on road trips in short periods of time. :) In the U.S., Russia and other countries. However, road travels in Russia present different challenges. If you will go to Irkutsk, you may try contacting http://egor_13.livejournal.com/ , he is an ornithologist, living in Baikal area and knows it well, I guess, he knows English and may be of some help, he also has a lot of friends there. I did not know what an "ornithologist" is. Had to go to the dictionary! :)) Thanks, I will try to write him if I visit this area. Hi! :) Unfortunately, I can't take so much time away from work right now. The blog is not my job, just a hobby. It's necessary to have many weeks to fully explore Siberia. "Snow, snow and more snow!" - this is perfect! I like it. :) I need to fly somewhere closer to Baikal, and then take the train for maybe one night. It's too long to ride the train all the way from Moscow. I think it takes three days! Thanks for the well wishes...I'm looking forward to exploring some new Russian cities on this trip. Thank you! But you're in a completely different part of Siberia. Far from Irkutsk! :)) Btw, are there very many English speakers in this region of Russia? I believe the answer is no. It will force me to practice my horrible Russian, and turn to the pocket dictionary for translations at all times. А в Тулу слабо ? I do not know this city. What is interesting to see in Tula? Regarding Siberia, I remember my feeling when I visited in Siberia. Get out of there ASAP. The only feeling. Every time. Well, I like these remote hell hole type places. :) In the U.S. and abroad.